New 40ft. High-Cube Container Pictured. 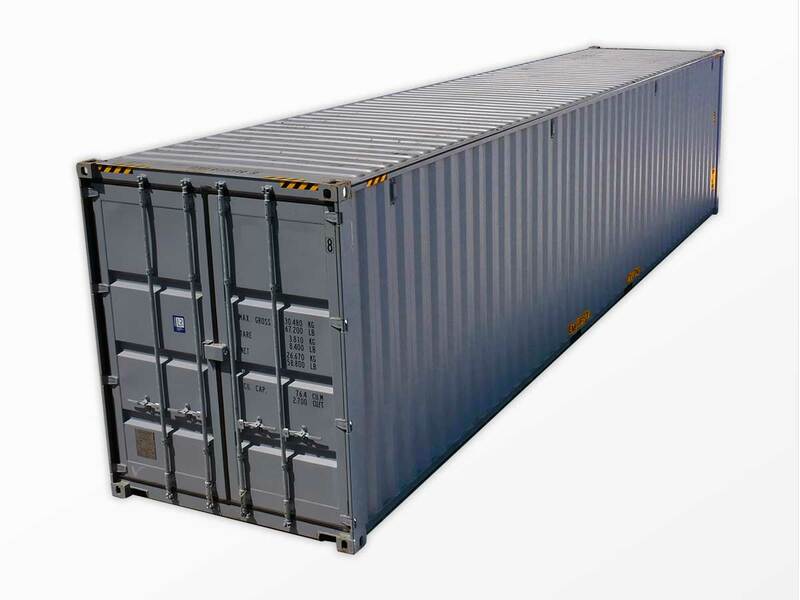 Interport’s 40-foot high-cube shipping containers offer the most value in portable storage. Equipment fits easily into the 40-foot high-cube container, which features approximately the same capacity as a two-car garage. These shipping containers are also best suited for shipping bulky lightweight cargo in a single container. In addition, the 40-foot high-cube container can be fitted out as mobile container office or classroom space or another building type. Interport’s friendly and knowledgeable staff can guide you through the range of standard and custom modification options. Buying from Interport means buying straight from the source. We have the Northeast’s largest selection of new and used 40-foot high-cube shipping containers ready for immediate purchase and next-business-day delivery. 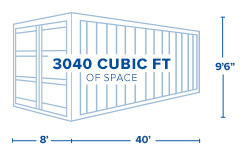 When more space equals more convenience, Interport’s 40-foot high-cube shipping containers are the ultimate container solution. Length: 39ft. 4in. Width: 7ft. 7in. Height: 8ft. 8 in. Width: 7ft. 6in. Height: 8ft. 4in. Gross: 67,197 lbs. Payload: 59,128 lbs. Tare Weight: 8,069 lbs.